Blogs, be it personal or commercial, are an excellent way of connecting with people. When it’s a commercial blog, you can get more connections and market your products and services. A private blog helps you put across your views, share your experiences and exchange opinions. Now, how about making money from your blog? It’s really simple if you follow these simple ideas which we will present to you. 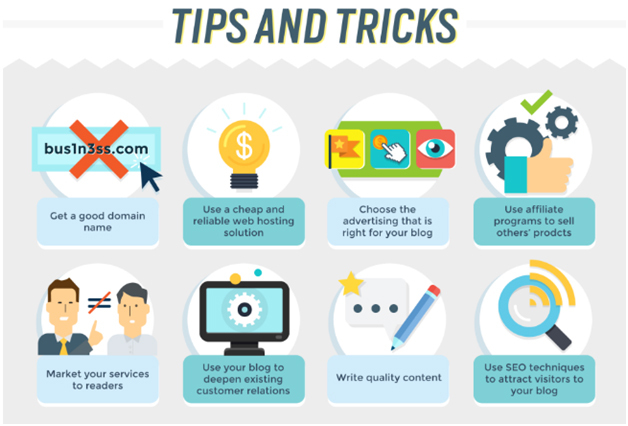 Whether you already have a running blog which you wish to monetize, or you wish to start a blog – these tips will be extremely useful for you. This is the most popular way to monetize your blog. You can place ads on your blog and based on the type of ad, you get money. CPC ads – These are ‘Cost per Click’ ads which can be placed like banners with your content. Each time a reader clicks on the ad, you will get paid money. CPM ads or ‘Cost per 1000 impressions’ where you get paid when a certain number of people view your ad. Let’s say an advertiser has a product he wants to sell. If the buyer is coming from your site, they agree to give you commission on each sale. The advertiser gives you a link which tracks your affiliate code, so that they may know when your link is used for a purchase. Include the affiliate link in your blog directly or through banner ads. If a reader clicks on the link and buys the product, you earn a percentage off from the amount she purchased. You can create private partnerships with any businesses offering affiliate programs. Create an ‘Advertise with us’ page on your blog and provide information regarding your blog so that potential advertisers would know if your blog is the right place for them. Since you own the blog, you get to set the prices. You can set prices, based on the location of the ads too. So when readers click on your blog, you can either charge a commission or set a flat rate per month. Remember to make these products relevant to your users. Always look for feedback on what e-products could sell on your site. If you are an expert on a subject, you can freelance through your blog and earn money. Especially if your skills cater to serving the public like baking, interior design etc. you may use your blog to demonstrate your skills and take up freelancing jobs. You will be amazed by the reach of your blog and how much people are willing to pay for your services and expertise by the information on your blog. Hope you benefit from the above tips and make maximum money on your blog.